For my next composition though I'd like use Surround Sound. A friend of mine told me that 7.1 is used for this purpose but I'm seeing a lot on the internet regarding ambisonic. Which would you recommond for my purposes? I'm interested in producing a composition for an audience rather than for a single listener with headphones. Are there any articles, books etc which might help to compose for surround? For example, I'd like to create a sound vortex around the listener. This is a good topic. I hope people have more to say about it. I'm interested in this too. I'd like to create a sound vortex around the listener. sound spatialization is a matter of great interest. I have seen (and heard) max/msp patches doing that. The only non-gimicky implementation of surround I know of that's suiitable for audiences in wave-field synthesis. That's one that actually works instead of relying on panned mono. The expertise and finances needed are way beyond most individuals, sadly, especially if you want ot go all the way around the listener. I think 7.1 (and 5.1) are mainly gimicks meant to sell cheap speakers at high prices it doesn't realy work since the mixing engineer doesn't know the measurements of the room they are placed in and so you get all sort of nasty phasing issues and the location of sound still isn't very well defined. Add to that the crappy aplifiers used for such instalations and you have a recipy for disaster. Mercifully it's only used for U.S. mainstream movies so there is no need for anyone to be confronted with it. I would instead spend my time on learning to mix for stereo in a way that goes beyond multiple panned mono sources; this is already quite hard and it'll give you a headstart once we have a real working and affordab,e standard for this in a few decades; the principles remain the same. Well, if we asume soundsources to behave roughly like points then one aproach to directional sound would be taking into acount the relative difference between the imaginary soundsource and the speakers and use dynamic delays and eq. It becomes harder when we also want reverb; there are plenty of stereo reverbs but hardly any take the actual position of the soundsource into account, here there is lots and lots of room for improvement. Of cource typically soundsources don't act like points that radiate evenly in all directions; acoustical instruments like for example the violin will radiate certain bands mainly in some directions and so act more like a set of directional cones radiating from a area then like sphere radiating from a point. This is relevenat because the ear is extremely sensitive to moving soundsources. Another aproach might be seeing a soundsource as a set of particles scatered over a area and take a granular aproach; in that way statistical links between the behaviour of various parts of the soundsource could be made. this is of cource very cpu intensive and most likely not something that can be done in realtime but at least it can be done at all ;¬). Just imagine attending a piano concert and sitting in the front row. Roughly five meters in front of you might be a stand-up piano placed perpendicular to the stage so you can see the player's hands. Considder now that on one side it will mainly be the soundboard radiating standing waves away from the piano, the other side might be more chaotic in nature and will have a much higher amount of other phenomena related to the movement of th pedals, the sounds the musician may inadvertently make and so on. Wouldn't it seem a bit naive to represent all of that and a lot more as one or two "orbs"? What we need is basically what visual people call "ray-tracing", except that they do it at 30 Frames per second and we realy need at least 44.1 *thousand* frames per second. I'm moving this to the new surround forum. To Kassen's points: While it's true that there are a lot of junky 5.1 systems being sold, the unescapable fact is that there are a lot of 5.1 (and 6.1 and 7.1) systems out there and the number is growing. 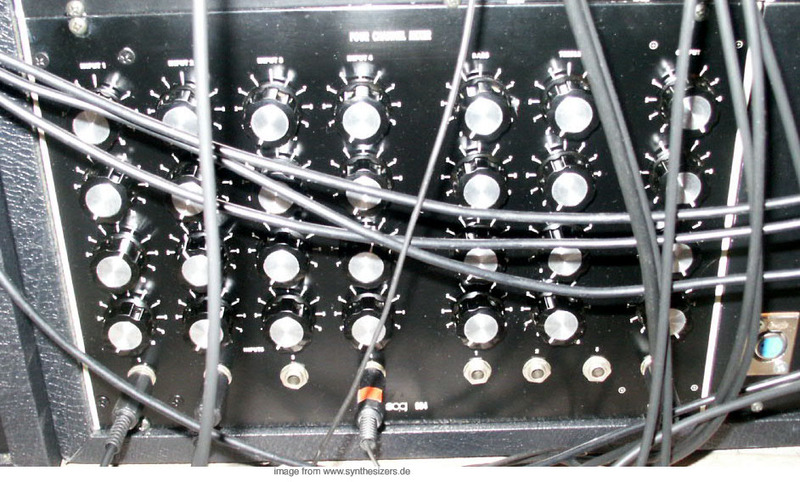 There are many crumby stereo systems, but that doesn't mean we should write our music in mono. I think surround is the next major frontier in electronic music. For conventional and acoustic music, the purpose of surround it to recreate the listening experience of the original recording. The goals are to make the recording sound like listening to the performance in a live hall. This is important for reproduction of classical music - orchestras, operas and such. But electronic music is created for the playback system. Now that we and our audience has multi-channel playback sytems, we must take advantage of this technology. I have heard some magnificent sonic textures played back on modest home theater systems. To avoid 5, 6, and 7 channel systems because they are cheap, poorly calibrated, have nasty phasing, have difficult producition techniques or whatever and just produce stereo is not for me. It is like playing piano with only one hand because there are issues with two hands getting unsynchornized. Stereo is one of the biggest limitations of our music. Sure, there are problems with 5.1, 6.1, 7.1, ambisonic, ambiophonic, panambiophonic, and all the rest, but there are problems with orchestral insturments too, and that didn't stop Beethoven. So lets use this forum to understand these issues and develop our techniques. Why not? Mono is the safe bet. There are also a lot of mono systems out there; many of the venues where people go to enjoy music are mono I think it's very important to make sure stereo mixes also sound good in mono. Since most electronic instruments are are basically mono, lots of stereo and x.1 mixes come down to panned mono as well. If you want a real stereo reverb that can handle moving soundsources you still have to program it yourself. Real 3d sound is simply very, very hard. the best surround sound i have ever heard was the kontakte sound system as set up by stockhausen himself. octophonie was great too. my only concern about x.1 surround systems is they kind of dictate which frequencies go where. i am now sold on the idea that with a well mixed 4 way (or 8 way) system, where all the sound sources have equal range of frequencies, you get far more flexibility when toying with the direction of sound. octophonie was so good as a piece of surround sound it was hard to digest in one sitting. kontakte was more my bag as a piece of music, but the way the spatial "triads" worked was just jaw dropping. i INSTANTLY knew that you would not be able to achieve that kind of spatial effect on a system with weighted frequency responses. Kassen has some great points here. As for mono.. well.. why not.. it is a safe bet for sure.. but then we don´t really listen to music in mono. Our brains are adding depth and interpretation into the mix anyway. As for writing like classical music, the way a lot of orchestral works are written, clearly the composers have been struggling with spatial issues. I am sure they have been considering what works as well as much as what does not work. As for reverb or rather spatiality, this is a huge issue which also has to do about how we hear things and how our brains are processing the sounds. I have always felt that spatiality is a major part of music and certainly a major part part of what electronic music should be about. One issue to keep in mind is that a "correct" reverb rarely works like it is supposed to. Slamming a wet Lexicon wash on top of everything doesn´t work either. A true 3D ray tracing system would be a great help, but then this doesn´t mean I will subscribe to all music being rendered for a Royal Albert Hall style room. Fictious spaces can often work far better for electronic works and whatever sounds good is OK with me. One piece of music doesn´t have to exist within one specific room either. It is quite possible to create a musical and integral spatiality using many different means. "Standard" consumer surround systems do have some serious problems. Kassen is dead right about this. Consider room sizes and placement of the speakers as well as the actual quality of the components. A lot of the very obvious stuff a serious composer would want to do with surround sound is simply not possible to achieve today on consumer gear. Most of the stuff I have heard remastered for surround is still pretty much like those early/mid 60s lounge music stereo trips. "Hey, I have panned the bongos to the left!!". Main difference is that I still find that lot more fun to listen too. I simply don´t want to have Freddy Mercury coming up on me from behind. Ouch. That makes sense. I am sure a 250 USD Aiwa turbocharged plastic surround rig wouldn´t sound as convincing as a custom made system. Well, yes, but with a orchestra you get spaciality for free. The blasted things are so large you couldn't get rid of it if you wanted to! Of cource one could work with that kind of strategy; position clusters of speakers on stage, each representing a single instrument. This has been done already. Quite right. Fortunately there are systems for creating artificial impulse responces for imaginary rooms; that technique is still in it's infancy and it has limitations. For one thing you need a impulse responce per location, for another I'm not aware of any programs that can calculate 7.1 impulse responces nor of reverbs that can render them, For stationary sources in a stereo mix this works, at least. "Standard" consumer surround systems do have some serious problems. Kassen is dead right about this. Consider room sizes and placement of the speakers as well as the actual quality of the components. A lot of the very obvious stuff a serious composer would want to do with surround sound is simply not possible to achieve today on consumer gear. Most of the stuff I have heard remastered for surround is still pretty much like those early/mid 60s lounge music stereo trips. "Hey, I have panned the bongos to the left!!". Main difference is that I still find that lot more fun to listen too. Indeed. One big issue is also in the amps. These will often have one central power suply for all channels. typically a underpowered one compared to the added power all speakers might potentially draw at the same time. This means that if one channel starts blasting then the others will have less power, resulting in a voltage drop and it's all going to clip at the same time. Aditionally those subwoofers tend to be build for loudness and typically don't exhibit much detail in the frequency domain. if you add that to the fact that many people put them up way too high, place them in a corner and also missplace the crossover frequency you end up with a sonological disaster from the start. Did I mention speaker placement can create spatial aliassing caused by the distance between speakers? Well, it does. Yet even still worse; mixing desks are barely suitable for stereo and most certainly not for real surround. This means doing it all in the computer. If each track needs 8 channels (for example by using a 8 channel wave file) and we have a composition featuring 20 sound sources then we'll need the equivalent processing and throughput power of 160 mono tracks just for playback and that's not even considdering how increadibly cpu intensive reverb is going to be for something like this. Look; those Hollywood blockbuster composers could afford a cluster of Linux boxen to render this if they wanted to and they still don't get beyond the most superficial of gimicky implementations. I'd love to hear what strategies our local surround advocates are using right now. I'd love to hear what strategies our local surround advocates are using right now. Ah, something postive. That is the purpose of this new forum. That's why it is in the How To category, not in the Can't Do. Surround (more than two independent speakers) has been a big part of electronic music since as long as I can remember - and long before that. At a lecture last year about the 1955 RCA/Princeton Synthesizer - http://electro-music.com/forum/topic-5717.html - the composer Milton Babbit mentioned how many of his compositions were written for four channel reproduction. You don't need a lot of equipment to do 4 channel or more recordings. In the 1970s there were many cheap 4 channel tape decks (Teak, Sony, etc) you could use for the master. I built my own four channel matrix mixer modeled on the the Moog matrix mixer. Even in those days, you could build such a mixer for less than $100. It was essentially four five-channel mono mixers with common inputs, so you could route any input to any output proportionally. I often used it to distribute 2 stereo and one or two mono tracks that were preprepared. You can get some interesting fancy surround panning effects by making two stereo tapes that are panned actively and mixing them to diagonal locations. Sometimes I used this setup and played a copy of one of the tapes but didn't start if for several seconds. This gave both a canonic effect and one of terriffic spaciality. At Mills College in the early 70s, four channel playback was common. At live performances, we'd use my matrix mixer to distribute the performers tracks around the room. A most satisfactory setup was to play in a large space like a gym. The performers in the center and the audience could walk around and park themselves where ever they wanted. With today's technology, I don't know how one could complain. The possibilities are almost infinite. There are mulit channel panners built-in Sonar 4 and higher. I've seen, but never used, surround plug-ins that look great. There are many multi-channel formats to use too, including multichannel mp3. I am being positive; I'm pointing out steps that could be taken over the following decades to go from "make believe" to "for real". That's quite positive to me; I expect to see real working systems within my lifetime. "panned" and "spacialised" are just very different things to me. For my next composition though I'd like use Surround Sound. Which would you recommond for my purposes? I'm interested in producing a composition for an audience rather than for a single listener with headphones. Subject description: "How to Ambisonic"
I have written summaries of how I've made surround compositions for most of the pieces which I've placed at the linked location below, under user Henry. There is a wealth of useful information on this site and links to peoples' Ambisonic surround-sound setups. There are VST plugins for B-format surround panning nowadays so you don't have to find some of the steam driven equipment I've used. If you make your surround composition in B-format you can always transcode to Dolby zillion.1 afterwards using existing software, so you get the best of both worlds. Using B-format you can mix multiple panned mono sounds and live soundfield recordings and this requires only 4 channels to record full 3-D sound. For some reason I'm unable to visit your website. I've tried for the past week or so. Please post if you have an alternative. The ambisonic bootlegs site is down for upgrade though. I thought I'd chime in on this one. A bit late, I know, but last time I checked the site was down and I thought it had folded...glad that's not the case! Anyway, I'm currently half way through a Masters degree in Music Technology at York University, UK and there is much exciting research being carried out into Ambisonics. I thought, like many people, that Ambisonics was pretty much a dead in the water system that had had its day some years ago. But it appears that more research than ever is being done now to popularise ( and demystify!) Ambisonics. I too, am interested in live performance wherein the listeners are placed in an immersive sound. My latest efforts have been directed towards that goal. A promising approach is the use of a Lexicon MX400 to create an enveloping environment. The mixing approach is a little different -- namely, instead of mixing to speakers I am mixing "into the sound field" placing the sound at various points within and around the sound field. The Lexicon is designed for surround and as such, has carefully considered delays. The delay processing is critical so that someone sitting relatively close to one of the speakers receives the surround effect and may not realize anything is coming from the close speaker. As mentioned previously, mono panning is not particularly effective in surround sound. When a sound comes from behind the listener, the ears need a reflection from the front to complete the effect. The Ambisonic site has a lot of great info particularly on m/s miking technique. My solution for live performance is to NOT encode surround... to simply mix to discreet tracks with my computer/firepod setup. The ambisonic site has some great information about encoding and decoding and the artifacts of the process. Among other things, the center channel serves to localize the sound source for, say, screen dialog, and perhaps for the soloists on stage (that is, to avoid the "disembodied voice" effect). One of my problems with mixing is that my studio is not really big enough for surround mixing however I can get pretty close with balances. The next step will be to reserve our neighborhood's clubhouse for a day and set up my PA and everything there. Of course, it is not a controlled environment for critical mix down however is pretty typical of many venues. I anticipate that I will use my hand-held db meter to help in getting things balanced. The rear speakers are most effective when they are placed to the side and slightly behind the listeners rather than clear behind them. I can't really claim expertise on surround sound however my initial work in the area is very promising and I am getting some very beautiful effects out of the equipment.